There was an extended period in my life when I traveled often by plane. Transcontinental flights, too. So I am someone who appreciates the need for comfort when taking to the friendly skies. I keep it casual, but I have my standards. No linen or silk. No skirts or pantyhose, or complicated hairstyles that get mussed by burlap upholstery or an ice-cold airstream pointed squarely at the top of one’s head. When I fly overseas for personal travel, I may wear yoga pants… but never sweats. And if I take off my shoes, I’ll absolutely be wearing a clean pair of socks. Under no circumstances will I be seen sporting flip-flops on an airplane. Because these days my trips (especially business ones) tend to be domestic, and rarely more than six hours each direction, I don’t see the need to dress down too much. Even if I didn’t run the risk of bumping into colleagues on every flight I take, you never know right? I could meet my Mr. Right on that plane. Or even better, my Mr. Buffet or Mr. Spielberg or Mr. Clinton. 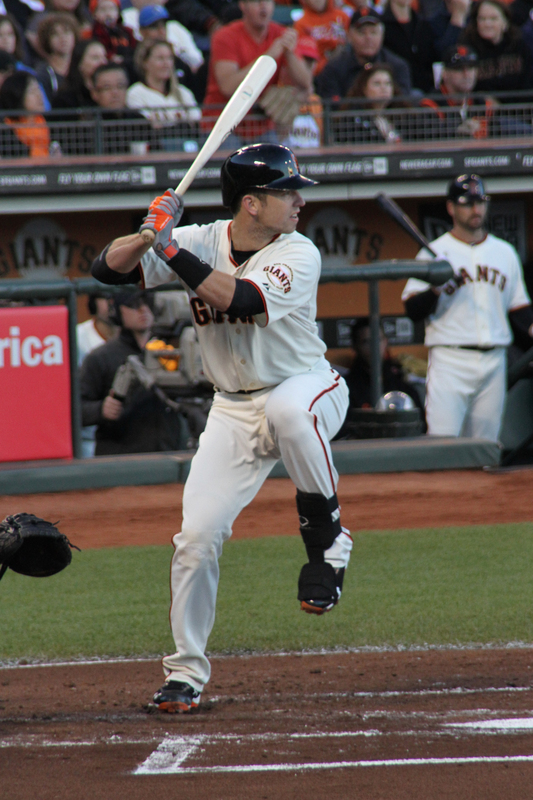 Or maybe even Mr. Buster Posey! Last week I traveled from San Francisco to Charlotte, North Carolina. As I meandered around the airport after being scanned and swabbed for explosives, I took a long, hard look at my fellow passengers and was frankly horrified. Since when does a five-hour flight warrant wearing flannel pajama bottoms, an old t-shirt and flip-flops? I don’t get it. I spend eight hours each workday with my lower half tucked beneath a desk or conference room table, and I do it wearing business casual. Why is loungewear required for a measly five-hour flight? Excuse me, sir. Are you flying to Charlotte, or on your way to clean out your garage? The funniest part: Many of my fellow passengers that day chose to accessorize their sleepwear/travel ensembles with inflatable neck pillows. Meaning, they didn’t carry the pillows under their arms or in their hands, or stuff them into their carry on bags. They wore them around their necks as they strolled around the concourse. This must signal either profound laziness, or extreme exhaustion resulting in a complete disregard for street cred. It was like being surrounded by narcoleptics, who could nod off at any time. Maybe United Airlines could institute a new rule – all inflatable sleeping accoutrements must be safely stowed under the seat in front of you, until the plane has reached cruising altitude. Passengers, help United help you! Anyone else noticed this phenomenon? Nice post. I probably fall in the schleppy traveller category (well, it fits my general non-business attire at work), but I do wear clean socks. I can’t stand those neck pillows — has anyone every fallen into a comfortable sleep with one? They do nothing but give me a serious crick. On a real long flight (8+ hours) I just bring a real pillow. I get some looks, but I also get some sleep. You are forgiven, Sean, since you wear clean socks! I agree those neck pillows don’t do me much good, especially when worn like a scarf or necklace while up walking around! 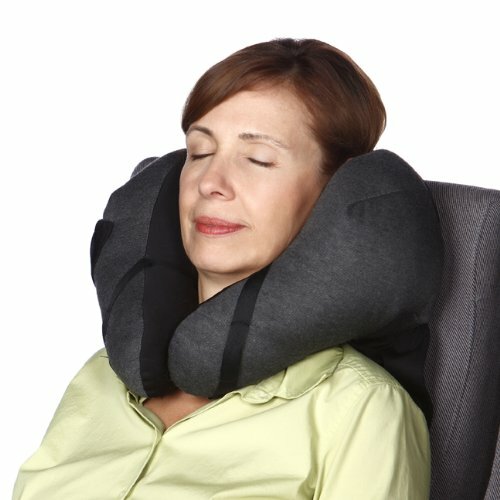 When I was looking online for an image, it’s AMAZING how many versions of neck pillows are out there, all of which make the wearer look like they’ve been in a serious car accident. IMO, not to be used except on red eye flights (which my flight to Charlotte was not).